Yesterday Charlie Stross did a web release of his novella Missile Gap. 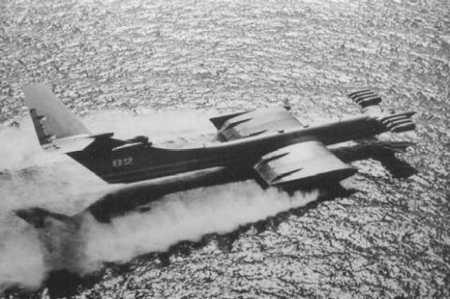 It’s well worth a read – Yuri Gargarin, transcendent intelligences and an ekranoplan! Hopefully, it won’t be giving too much away to mention that I’ve had a ‘social insects’ post rattling around in draft form for a month or so – motivated by the sudden hive collapse that’s been affecting honeybees recently. Update – when pondering discworlds, remember – it’s turtles all the way down! This entry was posted in books, creatures, scifi by dr.hypercube. Bookmark the permalink.